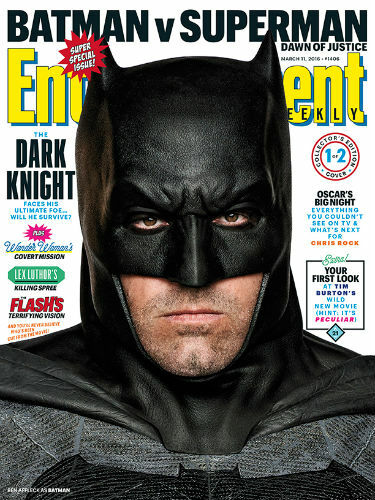 -This is worrisome: Ben Affleck reportedly rewrote the BvS script every day…in costume. -Some post-Oscar divorce announcements are reportedly heading our way. Who could it be? Julia and Danny? Cate and Andrew? –Kanye West tweeted a photo, but he forgot to blur out the bookmark to an illegal torrent site. Tell me more about how I should subscribe to Tidal, Ye. –Nicole Kidman says she’s “done with babies“. Of course she is; she’s 48 years old! Why are people still bugging her about this? -Why in the world would Judd Apatow feel the need to wade into this controversy? And take *this* view?? Dude. No. –The Rock remains a perfect human being. That is all. -Of course Warner Bros. has already planned a Suicide Squad sequel. –Emma Watson talked about her ‘expensive’ subscription to website aimed at female pleasure. God, I love this girl. –Dawson Leary once made out with Carol from The Walking Dead and I don’t remember it? I feel like I’ve failed at life. –Idris Elba needs someone to teach him about DMs. -I’ve been letting Broad City stack up on my DVR. Clearly, that needs to change. –Neve Campbell doesn’t want a Party of Five reboot. Good girl! -I love that Ian McShane joined the cast of Game of Thrones — and doesn’t give a crap about revealing spoilers. -I didn’t even notice that Mad Max’s badass costume designer didn’t get a lot of applause from the dudes in the audience, but I love her response. -I’m shocked it took this long for Kimmy Schmidt’s Tituss Burgess to get his own wine. –Tina Fey owned the Know It All game on Fallon last night, showing off her deep knowledge of cheese and obscure Canadian rappers. -The O.C.’s Mischa Barton to compete on Dancing With the Stars. Well, at least it’s a job. -Here’s the first trailer for Ghostbusters. I think it looks OK and I appreciate there is only one man in the entire trailer and he’s reduced to silent eye candy (though I wish they wouldn’t evoke the original film so much since there’s no story connection). Still, I get why some fans don’t feel well-represented.